Today I found out fifty percent of the ownership of Domino’s Pizza was once traded for a used Volkswagen Beetle. The year was 1961, just a little under one year after brothers Tom and James Monaghan had purchased a pizza restaurant, DomiNick’s, for $500. After eight months of running the business as a partnership, James Monaghan got the bright idea to trade his stake in the business to his brother, for a used Volkswagen Beetle. This isn’t the only funny story surrounding this company. 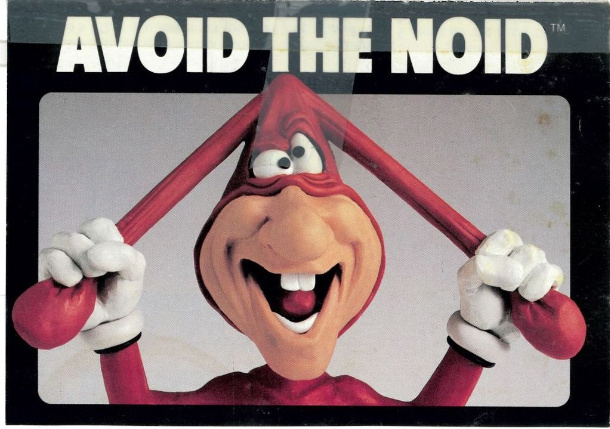 In the 1980s, Domino’s Pizza ran an advertising campaign featuring a character known as “The Noid”, who would steal pizzas, not unlike McDonald’s Hamburglar. The slogan that accompanied Domino’s campaign was “avoid the Noid”. Why is this significant? Because in 1989, a guy by the name of Kenneth Lamar Noid became convinced that Domino’s was referring to him. Enraged by the perceived personal attack, Mr. Noid held two Domino’s Pizza employees hostage in an Atlanta Domino’s Pizza restaurant. During the five hour ordeal, he did not harm the employees, but did get hungry and forced them to make him pizza, which, ironically enough, was him stealing pizza. Eventually, he surrendered to the police. Apparently, one should actually try to avoid the pizza stealing Kenneth Noid. For about thirty years, Domino’s Pizza had a thirty minute delivery guarantee. This worked out extremely well for a little over two decades, which saw Domino’s Pizza become one of the fastest growing franchises in history. However, this ultimately backfired on them when people realized that if they got in a car accident with a Domino’s delivery driver, they could sue Domino’s, claiming the Domino’s drivers were driving recklessly to try to meet the 30 minute guarantee, which may or may not have been true. After several lawsuits in the 1990s where Domino’s had to shell out around $90 million total, they dropped their 30 minute guarantee. Domino’s Pizza grew very rapidly after Tom Monaghan took the reins as the sole owner. Six years after the first store was purchased, the second store was opened. Around 10 years later, there was a total of 200 Domino’s Pizzas in existence. Just five years after that, there were around 1,000 Domino’s Pizza restaurants. Today, 50 years after the first Domino’s Pizza was opened, there are over 9,000 Domino’s Pizza restaurants in existence worldwide. The average American eats about 34 slices of pizza per year. That’s a pizza consumption rate of around 350 slices per second in the United States from around 70,000 pizzerias. Worldwide, Pizza is a $35 billion per year industry. I knew about the VW beetle and a lot of other things in your post, but not about Mr. Noid! A long-belated thank you, Daven!